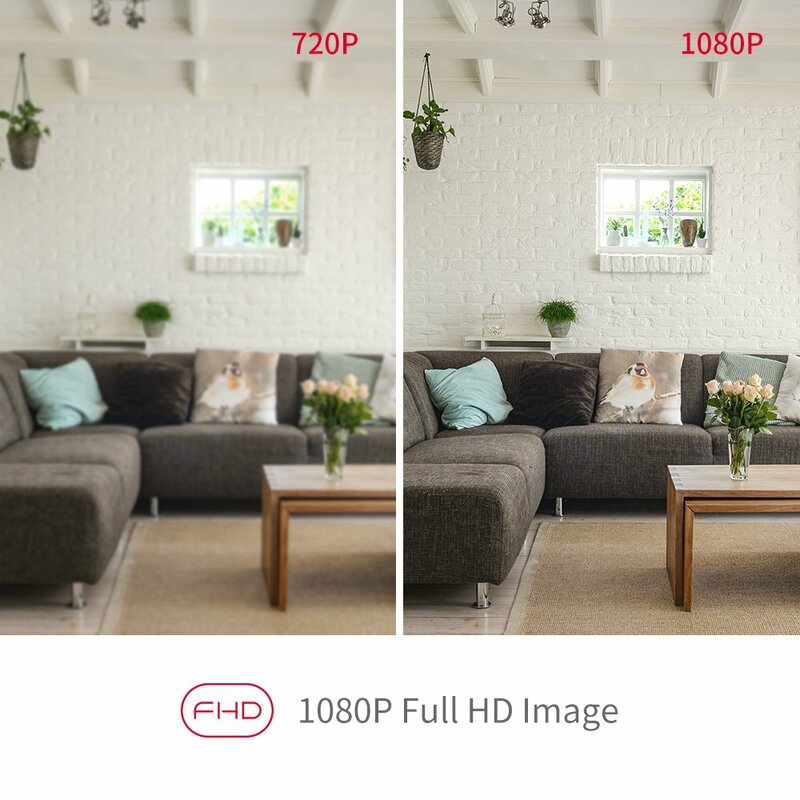 You can see crystal clear footage of your home with this high-resolution Foscam C2E WiFi camera. 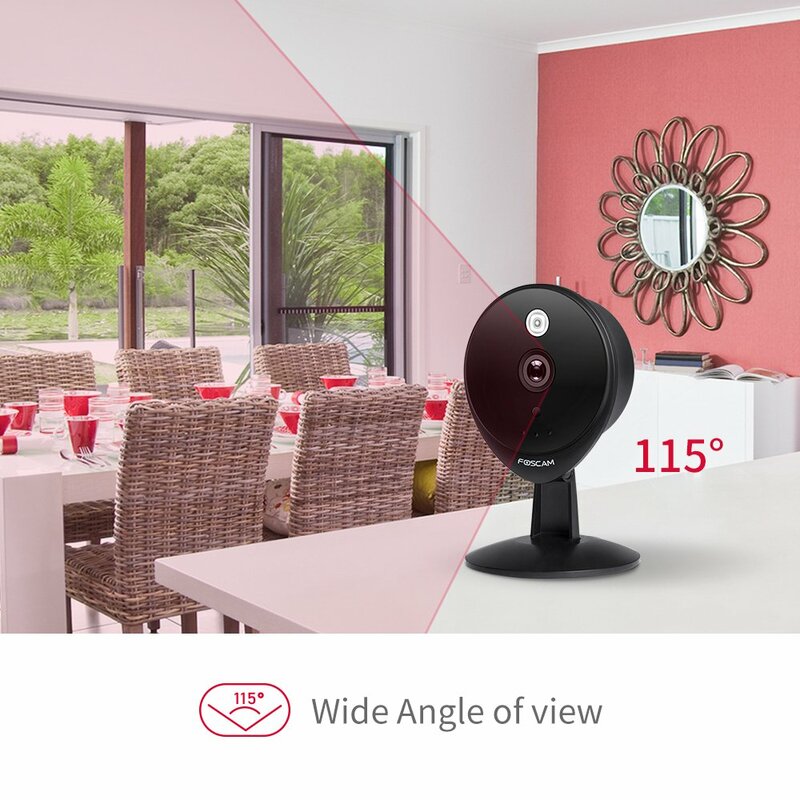 Always stay connected to your home by remotely monitoring through the Foscam App on Android/iOS smart phone. (Note: this camera does not support PC/Mac web interface access and IPad Service. 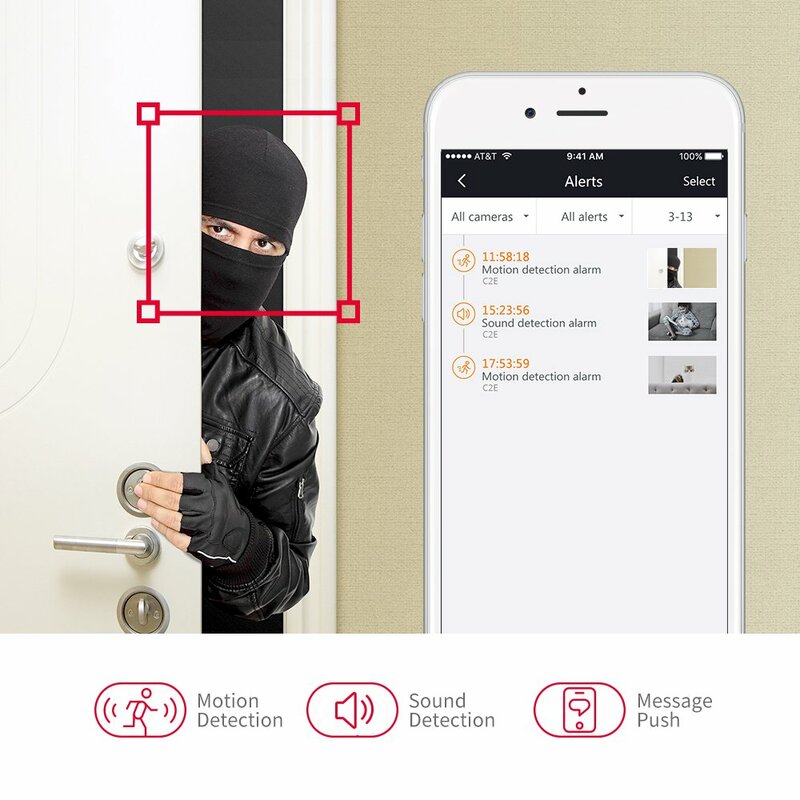 Motion & Sound Detection technology: Real time App Motion detection and sound detection alerts or push notifications are synchronized to your smartphone whenever intruder moves or makes a sound. This camera has a 115-degree wider view angle that make you see more space and details. Night vision range is up to 26ft. Night vision mode will work atomically based on light change or you can control it manually. 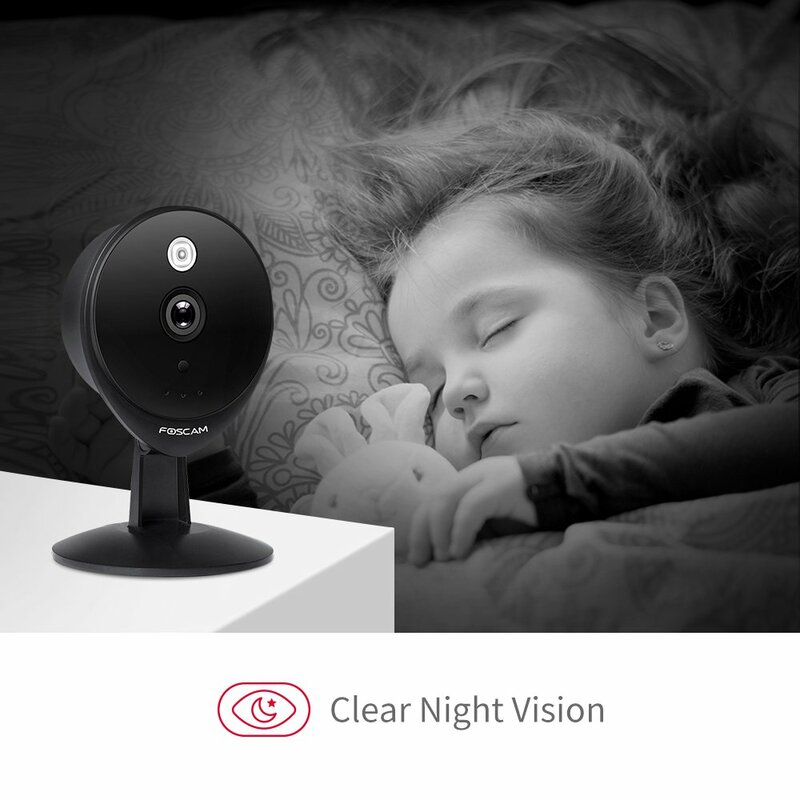 With clear black and white image thanks to one powerful array LED light, night vision mode will work automatically based on light change, or be controlled manually on Foscam App.